I had a great day on the 4th bouncing around downtown. I hope everyone else had nice days too. One of the highlights of my holiday was the 6 p.m. flash mob by the Savannah Dance Festival at Rousakis Plaza on River Street. I’ve written about the SDF, scheduled for October 12-13, several times on this blog and in my columns, including this post with photos from the non-profit’s first major fundraiser — a Casablanca-themed party at the Jepson hosted by Stratton and Mary Leopold. 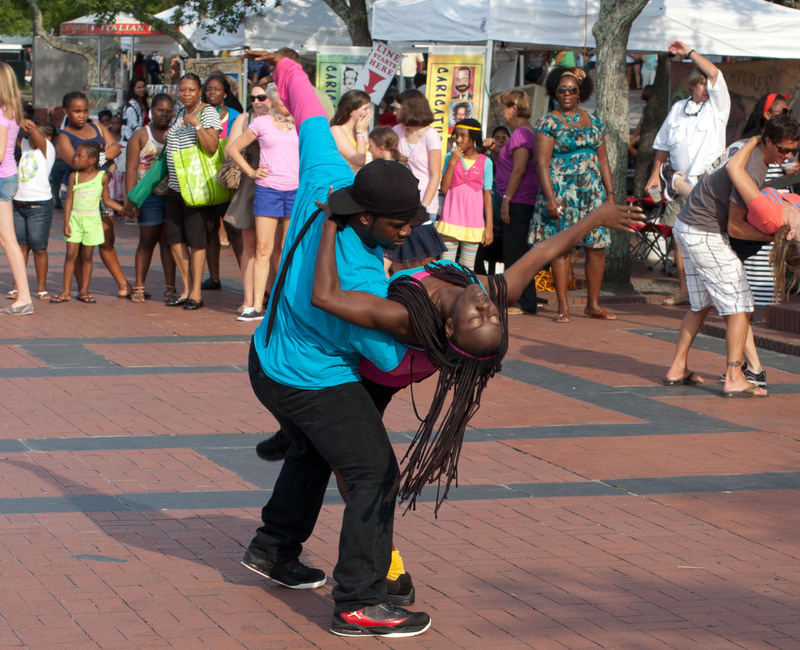 The performance on River Street yesterday was simply electric. It was hard to say who seemed most excited about the 15 minutes or so of frenetic dancing — the dancers, the spectators who knew what was coming, the spectators who just happened to be on hand, the folks who joined in the dancing at the end, or that one little boy who was mesmerized. I don’t know who any of these dancers are with the exception of SDF president Pat Alley. She’s the one dancing with the two little girls at the bottom of the pics here. More soon on the SDF’s ongoing fund- and consciousness-raising. I just kept shooting right through it all. I’ve cropped a few of these but for the most part they’re unedited. If you’re pictured in one of these, I’d be more than happy to send you a higher-res version. Just email me at billdawers@comcast.net. If you pull one off the blog to use on Facebook or somewhere else, please include a link back to this post (copy the URL in the address bar). I’ll post these and maybe even more to Facebook eventually. Click for larger versions. Enjoy.